Visit one of the most beautiful citys in Europe with over 800.000 bikes! 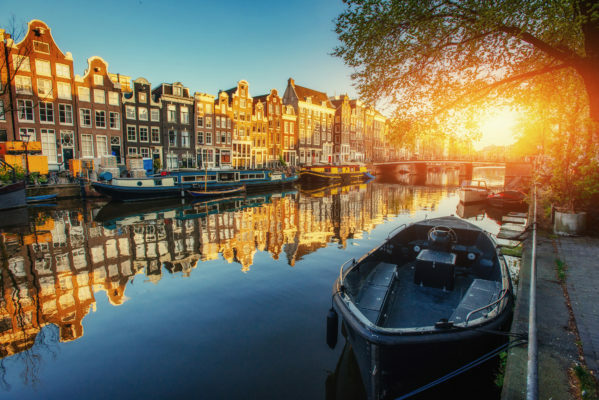 If you are looking for a great city break to Amsterdam, have a look at this deal to the Netherlands. At TravelBird I found a 3-day-trip in a super centrally located hotel from just 619 kr! You’ll stay two nights at the 3* Hotel Cornelisz. The hotel is modern and located just on the most exclusive shopping street in Amsterdam, the P.C. Hooftstraat. Additionally the deal provides a tasty breakfast in the morning and free WiFi. On Booking the hotel has received good reviews and has been awarded with a 7.9 out 10 total rating from 725 different reviews. There are various dates available from August – October 2017, the cheapest prices are in July, August and September. 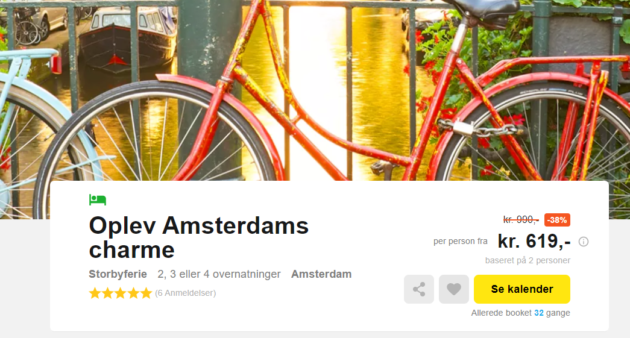 If you want to search for a cheap flight to Amsterdam check the offers on Skyscanner.com. Amsterdam has many things to explore! The Rijksmuseum is 150 m from Hotel Cornelisz, and the Van Gogh Museum is a quarter mile away. Rent a bike for just 60 DKK and visit the whole city including the relaxing Vondelpark. Don’t miss dinner at the super fancy “Pleque” Restaurant and enjoy a canal cruise!